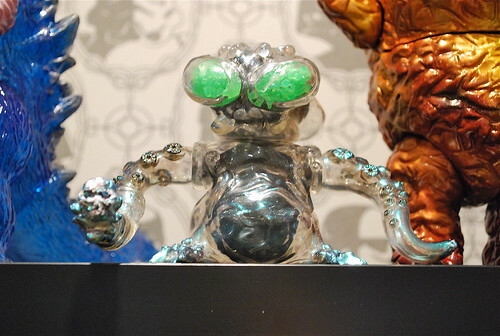 Sorry for the late notification ( I am super busy at the moment) but the Blobpus custom I made a few months ago was exhibited at Super7 in the “It Came From Skullbrain II” show and I am very happy to hear that it has been sold as well. The beautiful photo was made by toy photographer extraordinaire zincsaucier. Be sure to check is flickr stream for more pictures of the show and other beautiful toy impressiveness.